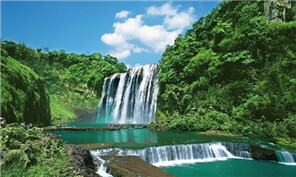 The Qianxinan Bouyei and Miao autonomous prefecture of Guizhou province boasts thousands of years of history in tea planting. 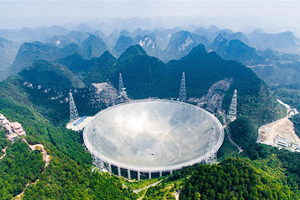 The world's largest radio telescope in China has opened to visitors. Members of the Miao community are striving to keep a folk tradition－verses in praise of King Yalu－alive in the face of China's rapid modernization. 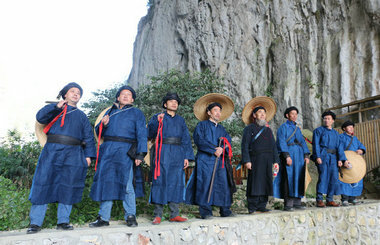 Cai Qun, a Miao deputy to the National People’s Congress (NPC), founded an enterprise selling Miao embroideries and batiks in Dazhai village. The Hyatt Regency Guiyang in Guizhou province will host a Hakka Cuisine Festival from March 8 to 31. To meet the increasing demands of passengers, tourist-dedicated trains have been arriving at Xingyi Station in Guizhou province one after another since Feb 25. According to a recent project proposed by Guizhou province, 1,500 state-level campus soccer schools will be established by 2025. The Guiyang Big Data Exchange (GBDE) in Guizhou province has become a pioneer of China’s big data industry since beginning operations in 2015.